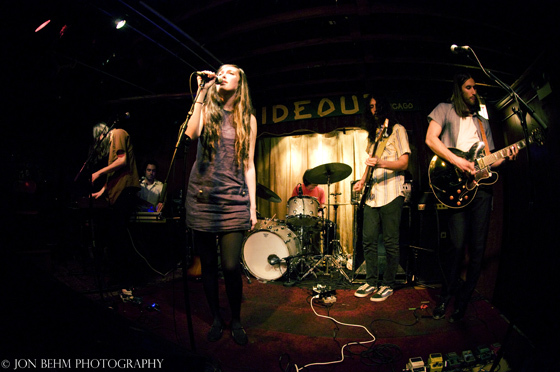 Brooklyn’s Cults are quickly turning from flash-in-the-pan favorite to a potential powerhouse of indie pop. They just released the first single from their forthcoming self titled debut record, and its another jem of a pop tune. “Abducted” presents Madeline Follin’s lovely vocals over a hazy xylophone guitar and drums, but in a marked change from the band’s much-lauded first tunes, it also uses those elements to build into a ferocious, gasping crescendo. The band’s debut will be out on June 7th on Columbia, for now it seems that at least some of the hype may be warranted. Science Letter July 14, 2009 Edible Arrangements, the pioneer and leader in hand-sculpted, fresh fruit arrangements, is rapidly expanding its national footprint with the announcement that the company has experienced double-digit growth since January 2009, including the addition of 28 new franchises in 13 states coast-to-coast including Florida, New York, Texas, Missouri, Michigan, Massachusetts, and California, among others (see also Edible Arrangements International, Inc.). In addition to its strong franchise sales growth, Edible Arrangements also recorded a 19 percent increase in same-store sales in the U.S. over Father’s Day week compared to the same period last year. Locations in Canada benefitted from a same-store sales increase of 27 percent. Currently, Edible Arrangements has 887 locations with the goal to have 1,000 units by year 2010, which is part of an aggressive growth strategy that includes expanding in existing markets while continuing its growth in emerging markets such as California, Texas, Arizona, Florida, Salt Lake City, Pittsburgh, Seattle, Philadelphia and New York. In addition to finding qualified new franchisees, the company’s growth strategy includes growing its existing franchise base into enterprise multi-unit operators. Of the locations sold above, 16 were purchased by existing franchisees. The company’s proprietary technology platform and point-of-sale system is the critical backbone of each Edible Arrangements’ store, where franchisees have 24/7 access to its “industry leading” on-line support system. Technology also assists in the development of the proprietary tools used to design arrangements, which enhances the product’s look and increases profit margins. The company has developed a fully integrated national marketing program focusing on television, magazine and online advertising. Since its inception, Edible Arrangements has earned countless accolades from the industry, including its ranking as first in its category by Entrepreneur Magazine’s Annual “Franchise 500” Ranking in 2007, 2008, 2009, as well as one of the magazine’s “HOT 100” franchises in 2008. In addition, the company has ranked for three consecutive years in Inc. Magazine’s top 5,000 fastest growing privately-held companies and AllBusiness.com ranked Edible Arrangements as 23rd in overall growth and 65th in system size due to a doubling of units since 2006. Individuals seeking to own and operate an Edible Arrangements’ franchise should posses a minimum liquidity of $50,000 and the ability to invest approximately $154,920 – $298,005. Multi-unit store networks are also available for qualified applicants. Financing options are available to qualified applicants. For more information, please visit www.eafranchise.com or call 888.727.4258.